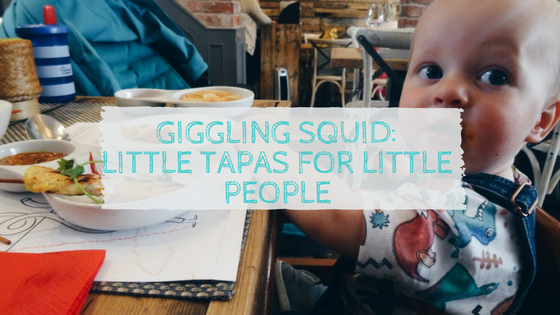 We were recently invited along to try out the new ‘Little Tapas for Little People’ menu at Giggling Squid. If you’ve never heard of Giggling Squid before it’s a brilliant chain of Thai restaurants, mostly based in the South and Midlands of the UK. I love Thai food, the flavours are just beautiful. I think I would eat Thai food all of the time if I could! Oliver is a big lover of flavour, the more flavour the better with him. A few weeks ago I tried to give him fish fingers for dinner, he took one bite, chucked it on the floor and wouldn’t try it again! However, the curry I cooked up last night he devoured! He’s still mastering the spoon and 99% of the time refuses to let me feed him, so finger foods are always a big hit with him. 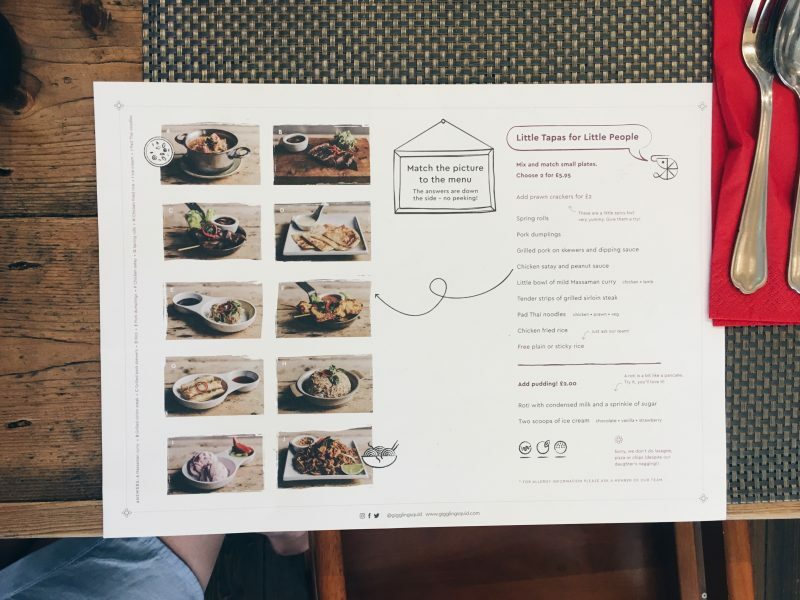 So when I was emailed to see if I wanted to come and try out the new children’s menu, it was an instant ‘yes please’! I think this is a brilliant way of thinking. I think it’s great to open our children up to a wide choice of different cuisines and flavours. I loved the design of the menu, with clear pictures of all the dishes. I’m sure that it would make children find it easier to choose what they’re having. It’s only £5.95 for 2 dishes, there are 8 dishes in total, so they can choose 2 out of those 8. There’s a good variety of different dishes, curry, pad Thai, steak, chicken pork, dumplings and spring rolls. For an extra £2 your little one can add a dessert, with ice cream or a roti, which is a bit like a pancake. As you can see from the picture, they have a match the picture the menu game. Which I actually enjoyed doing whilst we waited for our meals! It also flipped over to reveal a colouring sheet! 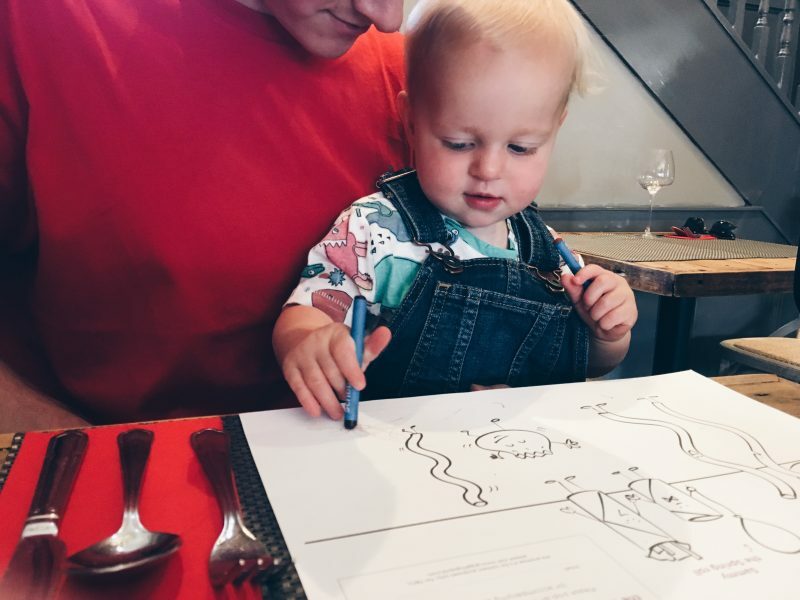 They provided us with crayons and Oliver happily sat there doing a bit of colouring whilst we waited for our meals to arrive. We ordered Oliver the chicken satay and peanut sauce and the spring rolls, as we thought they were perfect finger foods (and not too messy..!). All children’s meals come with plain or sticky rice. The portion of plain rice was HUGE, I think it was actually bigger than the portion I had with my meal! He loved eating the chicken off of the skewer and licking the peanut sauce off, and the spring rolls went down well, especially as they were something he had never tried before. 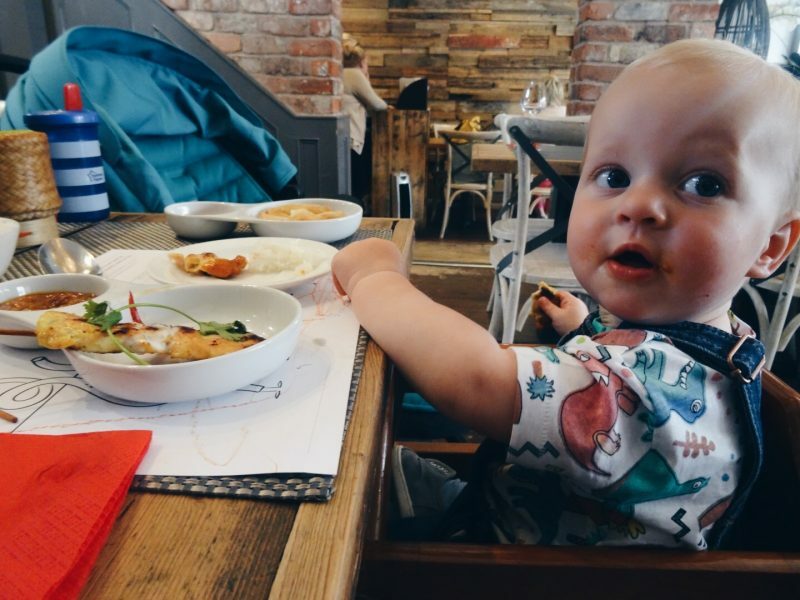 He quickly tore his way through his meal and even had a taste of ours too (I had the Thai green chicken curry and Stuart had the grilled beef and sticky rice, they were both delicious too!). The staff were very friendly and happily entertained Oliver when they were walking past our table. There were highchairs available and they seemed well set up for little visitors. I am sure we will be back again soon, we had a really nice chilled out lunch. 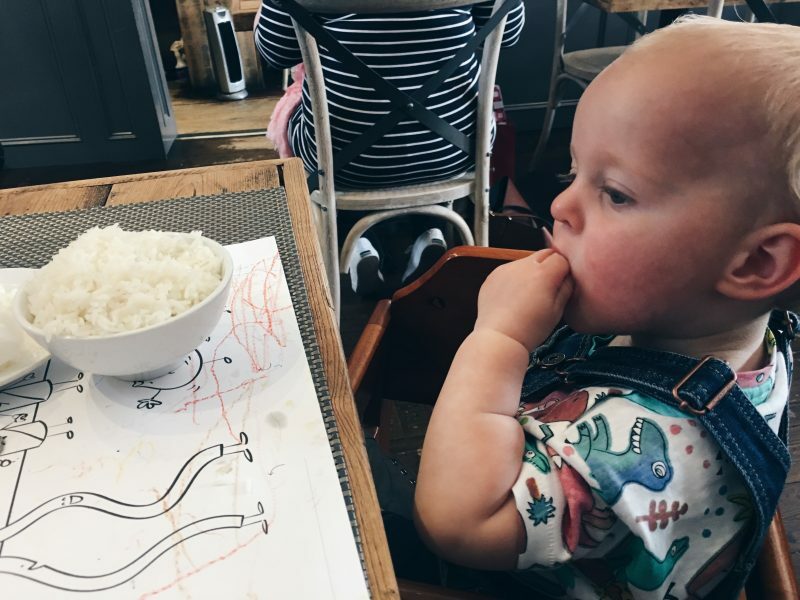 Sometimes I feel like when we are out for lunch with our child the staff are either really good with children, or you feel like they want you to leave ASAP. The staff at Giggling Squid were all brilliant and really great with children! If you live near a Giggling Squid I urge you to go and have a meal there, and take your children along too. I’m sure they will love it, and it’s a nice change to your usually family meal out. Their lunch deals are really reasonable too. 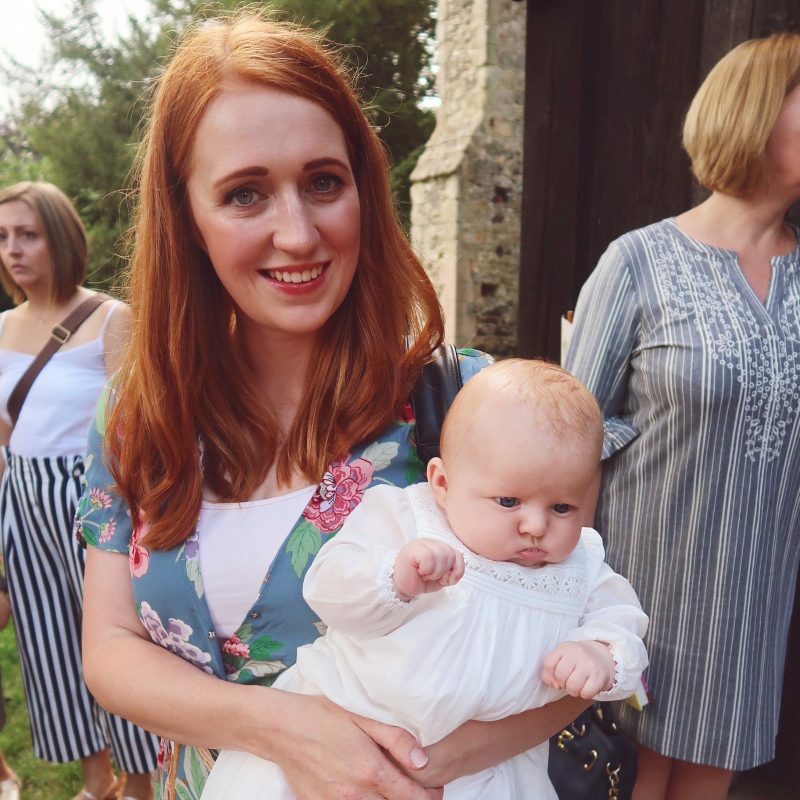 Previous Post One Year of Blogging: What has it taught me?